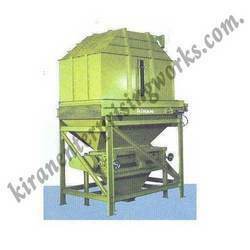 We are the leading manufacturer and supplier of Pellet Counter Flow Cooler. Hole diameter and pitch can be decide based on mesh size requirement. Offered at economical prices, these counter flow pellet coolers can be offered in bulk quantities and in a short span of time. Discharging speed adjustable through hand wheel. Looking for Pellet Counter Flow Cooler ?